India’s northern states are more vulnerable than the rest to a deficiency of rain in the next monsoon season due to the El Nino threat. “South India has got the ocean on both sides, so either the Bay of Bengal part, the Arabian Sea or a combination of the two will work to fetch adequate rainfall this season. "North India is not on the coast,” says Jatin Singh, founder and chief executive of Skymet Weather Services. The company says it has issued accurate weather forecasts for India in recent years. An El Nino is a temporary change in the climate of the Pacific Ocean, in the region around the equator. A band of anomalously warm ocean water temperatures periodically develop in the region; it has the impact described above. About 98 per cent of all El Nino events in the past 138 years had been below-normal rainfall events, says Skymet, with 60 per cent being cases of drought. There has been no case of excess rainfall. There was an El Nino effect in 2002, resulting in a below-normal monsoon rainfall. There were similar events in 2004, 2009 and 2012. The probability, says Skymet, is that rainfall would be less this year, too. 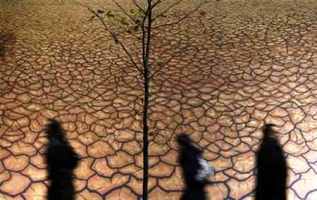 However, 95 per cent of the average is not a worry; the risk of drought rises below this level, said SIngh. Australia’s Bureau of Meteorology has also warned that the chances are higher this year of an El Nino weather pattern, which can parch parts of Asia and bring rain to South America.